When you come to Strype Personal Injury Lawyers for the first time, you have already been through a traumatic experience that has changed your life. We understand that your finances may be stretched to the limit and you may be wondering how you can cope. This is no time for you to worry about the expense of paying a lawyer. This is the time to speak to us about your rights and remedies at NO CHARGE. We have extensive experience in analyzing whether a case can be brought to a successful conclusion. Because we charge no fees until the case is settled, we have to be convinced that your case is likely to succeed. Remember, we will be taking on all the expenses through the months and years until your case is resolved. We are able, because of our experience and reputation, to refer you to expert physicians and specialists who are skilled, not only in the medical field, but also at giving evidence. Our experts know how to withstand a cross- examination by a defense insurance lawyer. Likewise, after hundreds of trials, we have the experience to rigorously cross-examine defense insurance doctors if a matter goes to trial. Strype Personal Injury Lawyers expertise is not just legal and medical it is financial, too. When calculating damages, many ongoing and future expenses for yourself, your family, and your business need to be considered. The goal of the opposing insurers is to minimize your monetary claims. We understand the intricacies of analyzing financial data and know how to present the details of your case clearly and emphatically to obtain the best results possible. When we accept your case, we are committed to a long-term relationship built on trust and mutual respect in which we will use every source of expertise and skill to bring about positive results. We communicate with you throughout the process so that you understand, at every step, what the insurers are doing and how we are working for you. At a time when you are severely stressed because of your injury, or that of a family member, we strive to reduce your stress in working through the legal process for the benefit of you and your family. If you think insurers will settle your claim without a fight, think again! They rate your lawyer. They know if your lawyer will fight for a reasonable settlement or take the case to trial. 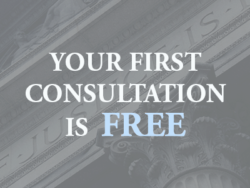 Your first consultation with STRYPE PERSONAL INJURY LAWYERS is always FREE! Contact us today at 416-214-2400 • 1-855-4-STRYPE.